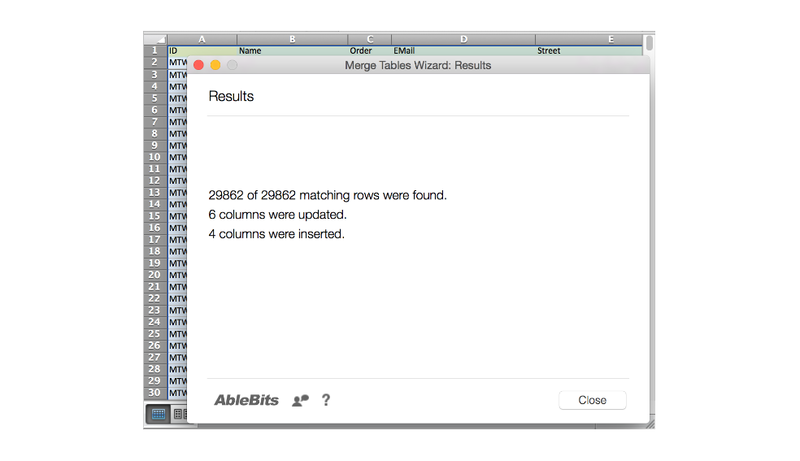 Merge Tables Wizard app matches and merges data from two worksheets. If you want to update your table with the data from another sheet, this smart tool will do the job perfectly and quickly. 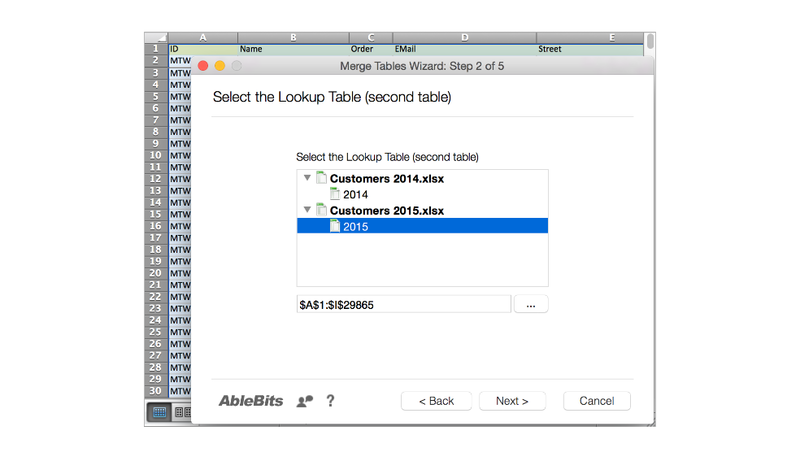 It's a user-friendly alternative to Excel Lookup/Vlookup functions. Add columns to the end of your table You can choose to add one or several columns from the second table after all columns of your main list. Add non-matching rows to the end of the table Pick this option if some rows are not present in your main sheet and you want to add them to your table. Add or insert rows with duplicate key values If your lookup table contains several duplicate key column values, they will not be lost. Update values in your table from the lookup table. You can select which Master Table columns you want to update and which you prefer to leave unchanged. Update only empty and new cells Check this option to fill only the empty cells, the existing values in your table will not be overwritten. Update if cells from the lookup table contain data Select this option if you may have empty cells in your Lookup Table that you don't want to be copied into your Master Table. Add the Status column Check this option to add a status column to your table to show the changes made to the rows and mark them. Set background color of updated cells After joining all the updated Excel data in the Master Table will be highlighted with this color and you will easily see the changes. 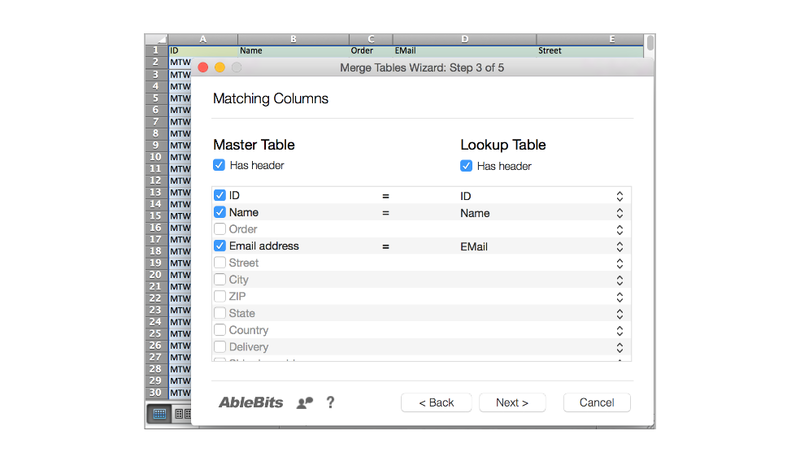 What is Merge Tables Wizard app for Mac? Suppose you have 2 Excel tables. The first one is your Price list or Master Table. The other one is a list with new prices and updated email addresses from your partner companies. You need to refresh your report with the data from the second table that contains the most recent information. 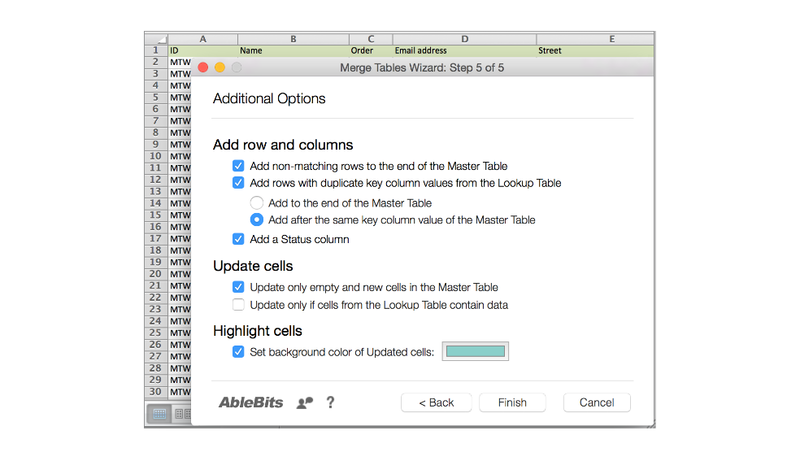 Merge Tables Wizard app for Mac is the quickest and the easiest way to do this. 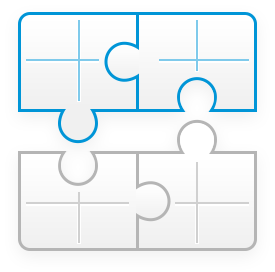 No more copying and pasting, no more hardcoding, VBA, or complicated Lookup/Vlookup functions! 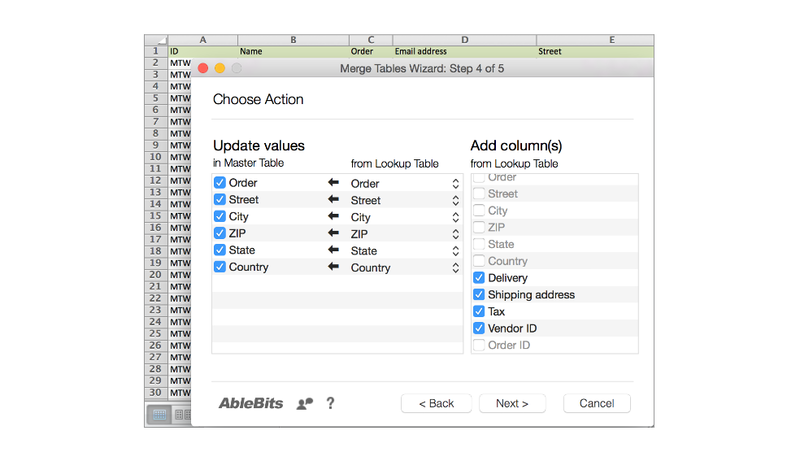 How to use Merge Tables Wizard app for Mac? Select your Master and Lookup Tables. Tick off the columns for comparison or key columns that are the same in both worksheets. Specify which Master Table columns you want to update with the information from the second table. Pick the columns from your Lookup Table that will be added to the end of your main list. Choose additional row and column options to fine-tune the results.